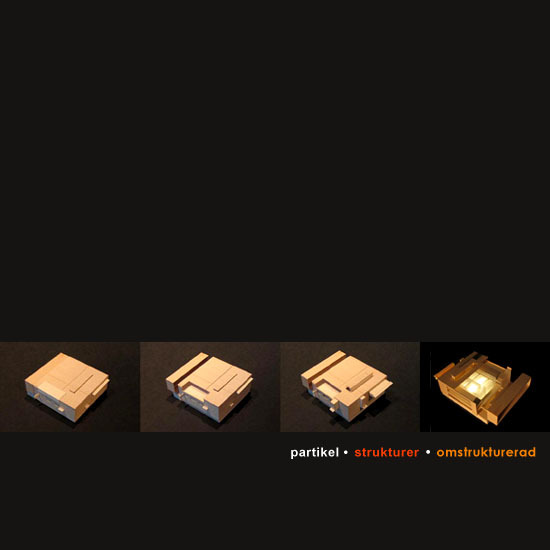 Strukturer was the lone release from the short lived netlabel imprint, Arkitekton. We loved it so much that upon the news of Arkitekton folding we hounded Jimmy Svensson aka Partikel to rerelease it somewhere – somehow. Lo and behold, here it is given new life. Including 2 new tracks and 3 new remixes from some favorite members of the One camp. This beat heavy excursion into minimal techno has a driving confidence and strong prescence with which it excells in theme and seperates itself from other techno releases. The mixes then take the original underlying qualities of Partikel’s style in different directions through the interpretation and exploitation by three unique remixers – crossing the spectrum of dub, techno and glitch.